Our sales team are an extremely dedicated crew of coffee experts & enthusiasts who eat, sleep & breathe coffee. One of these legends could be your new best friend…get in contact to join our Locale family. 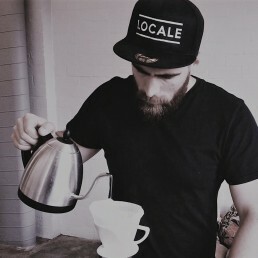 Coming from a background in hospo, to sales gigs for other coffee companies, Josh is Locale to the core. 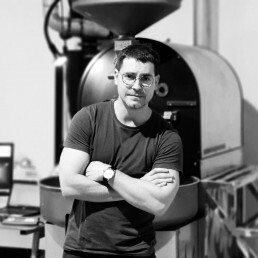 As well as heading up the sales team, he is heavily involved with the coffee development team & heads up our Single Origin program, including the roasting! He’s all about the filter coffee but loves a cheeky espresso too. 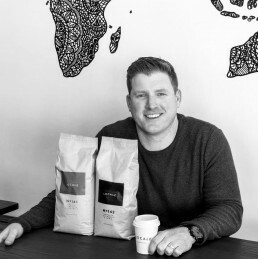 After working in sales roles in the booze industry and corporate coffee scene, Cam’s love of specialty coffee and passion for the bean to cup process, has landed him at Locale. Proudly representing the sunshine state, Cam is an espresso man all the way (though certainly wouldn’t say no to an espresso martini)! 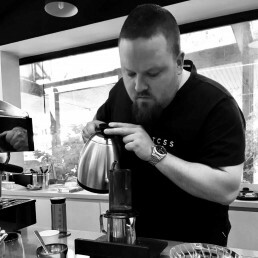 A veteran of over 15 years in the hospitality industry; managing various bars, restaurants and cafés, Pauly started his coffee journey as a barista at a tiny café, before jumping in head first into Sales. Now servicing the great state of WA and showing mad love for the cold brew, Pauly is the best friend you never knew you didn’t have. 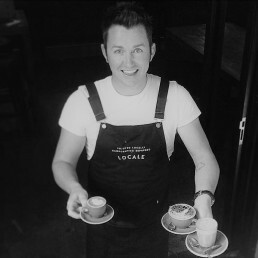 Falling into hospo whilst studying to become a P.E teacher, Jules quickly developed a passion for latte art & the industry. Shortly after, he ditched Uni to pursue a career in coffee & the rest is history. He prefers his coffee without milk & generally through a paper filter because…filter is life! Look out for Jules cruising the streets of Melbourne in the Locale van. Originally from a retail background, Benny started out in the coffee industry as a delivery driver with zero interest in coffee. It slowly hooked him, like it did the rest of us, and soon he fell in love with the humble bean. He’s previously done a few stints for other coffee roasters & now champions Locale in NSW. He loves a long black to start the day but is quite partial to a piccolo or ¾ flat white. Now you’ve met the go-to contacts on the ground in each state. These guys are backed up by a killer support team working out of our HQ in Abbotsford, VIC. Hit that button below to contact us…we love a chat!